Wildfires continue to rage in Washington State this week, as two towns were evacuated in the eastern part of the state due to direct threat from the fires. Governor Jay Inslee also announced yesterday that three firefighters have perished while fighting the blaze, and an additional four were injured near the eastern Washington town of Twisp. The Washington state Department of Natural Resources reportedly told Seattle’s KING5 News that the Twisp fire exploded from 1,500 to 16,000 acres last night and officials are expecting the worst. 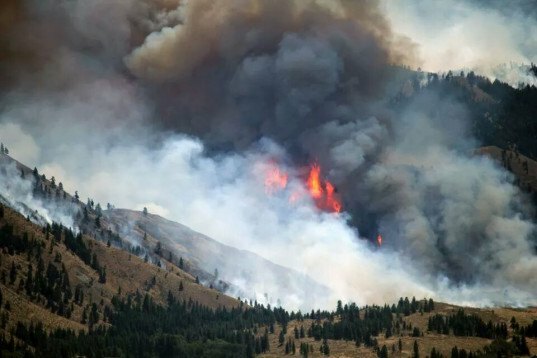 The fire that forced Twisp residents to travel south for refuge is one of several wildfires burning in the eastern part of the state this week, which largely consists of prairie-like terrain. Okanogan County Sheriff Frank Rogers issued a statement that said the three firefighters who died were Forest Service employees based in the Okanogan-Wenatchee National Forest. Of the four firefighters injured, one was employed by the Forest Service, two worked for the state Department of Natural Resources and one was a contractor with the department. Emergency services in the area are reporting that the fires have destroyed 50 homes, 60 other structures and more than 235,000 acres of land. At least 11 counties are battling more than 40 fires in total at this time, with more expected to start in the coming days as the result of lightning strikes and gusty winds. 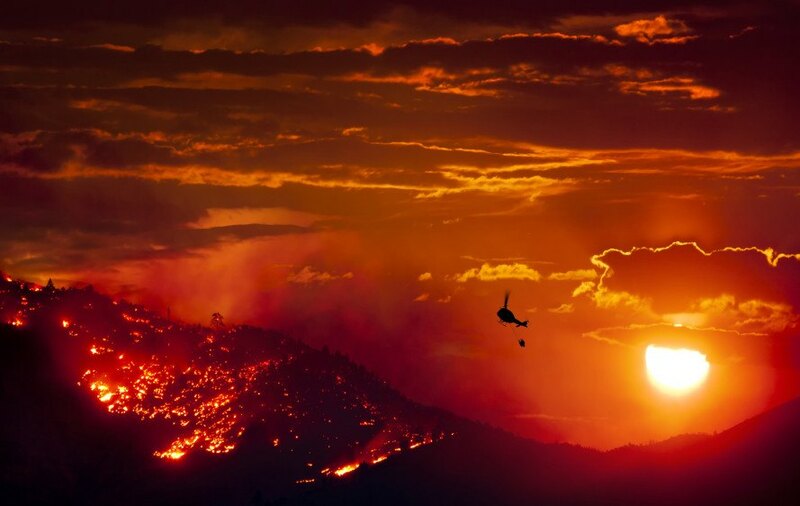 In response to the deaths of the firefighters and the persist wildfire danger, the governor also requested a federal declaration of emergency for the state. There are not enough firefighters in the state to adequately control the fires, and some 200 soldiers from the Joint Base Lewis-McChord near Tacoma will travel across the state to join the fight this weekend. My sympathy to the families of the lost responders. These fires are beasts that can take even the best. Know when it’s time to get out of the way. If anyone has not signed up to get reverse 911 alerts and updates on their cell, do it now. It’s free. Local responder and EMA notifications by voice, text and email in most areas. Register with the county or use www.safetyinformed.org to find links. Know when it’s time to go and don't make a first responder come for you. Wildfires continue to rage in Washington State this week, as two towns were evacuated in the eastern part of the state due to direct threat from the fires. Governor Jay Inslee also announced yesterday that three firefighters have perished while fighting the blaze, and an additional four were injured near the eastern Washington town of Twisp. The Washington state Department of Natural Resources reportedly told Seattle's KING5 News that the Twisp fire exploded from 1,500 to 16,000 acres last night and officials are expecting the worst.